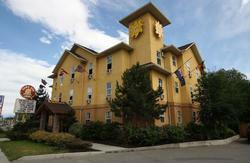 SameSun, Kelowna is one of the largest and most modern hostels in the Okanagan valley. 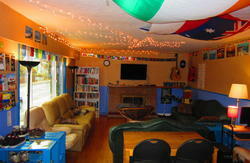 Located right in the heart of the city, the funky looking building is central to just about everything a backpacker could wish for including the beautiful Okanagan lake. The nightlife offers a host of restaurants, pubs and clubs to suit all appetites and most are in stumbling distance to the hostel. SameSun staff are always at hand to answer questions or guide visitors to any one of the many activities available in Kelowna. We will happily do our best to keep your adventure going strong. All year round we provide good times with excellent staff in a beautiful city..
Kelowna has a full-service airport with connecting flights to Vancouver and Calgary. Bus: Located on Hwy 97, the connector through the Okanagan Valley, Kelowna is served by Greyhound Bus Lines. Drive only 3.5 hours direct from Vancouver by car, or about 8 hours if you take a scenic route through the Rockies from Calgary.